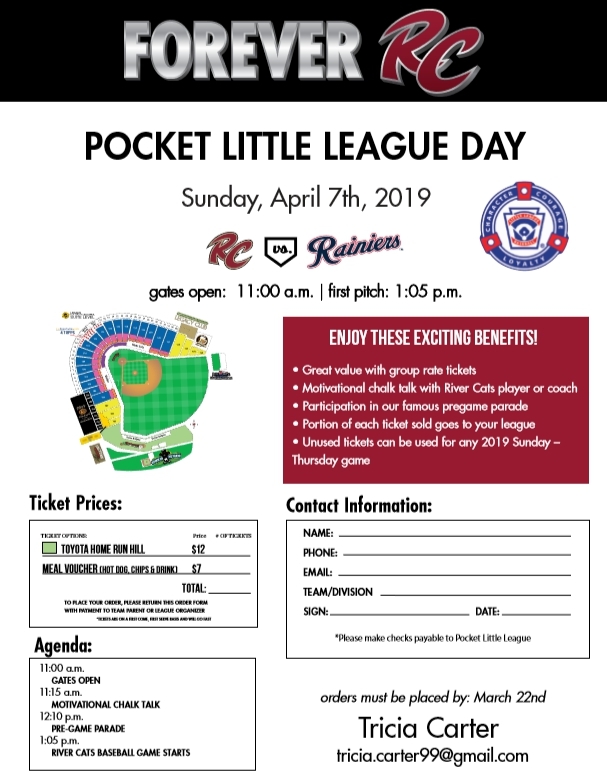 Pocket Little League’s annual Sacramento River Cats Day is Sunday, April 7th. The River Cats will face off against the Tacoma Rainiers at 1:05 p.m. with some proceeds from the event going towards Pocket Little League! This is one event you won’t want to miss, as all of our little sluggers will be welcomed onto the field for a pregame parade! Tickets are on sale now at group rate prices. Come on out and relax on the Toyota Home Run Hill grass for just $12 per ticket. Gates open at 11:00 a.m. with a motivational “Chalk Talk” at 11:15 a.m. and the famous pre-game parade on the field starting at 12:10 p.m.! Players should wear their jerseys and hats to represent Pocket Little League in the parade. Click on the flyer below to pre-order tickets and meal vouchers for the game. Order forms and ticket money must be turned in to Tricia Carter by Friday, March 22nd. For questions, please ask your Team Parent, or contact Tricia directly by email at tricia.carter99@gmail.com. 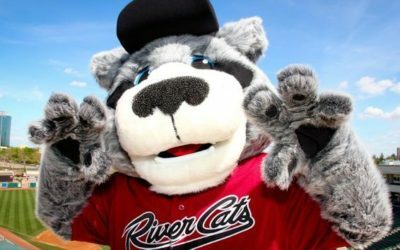 GO POCKET and GO RIVER CATS! 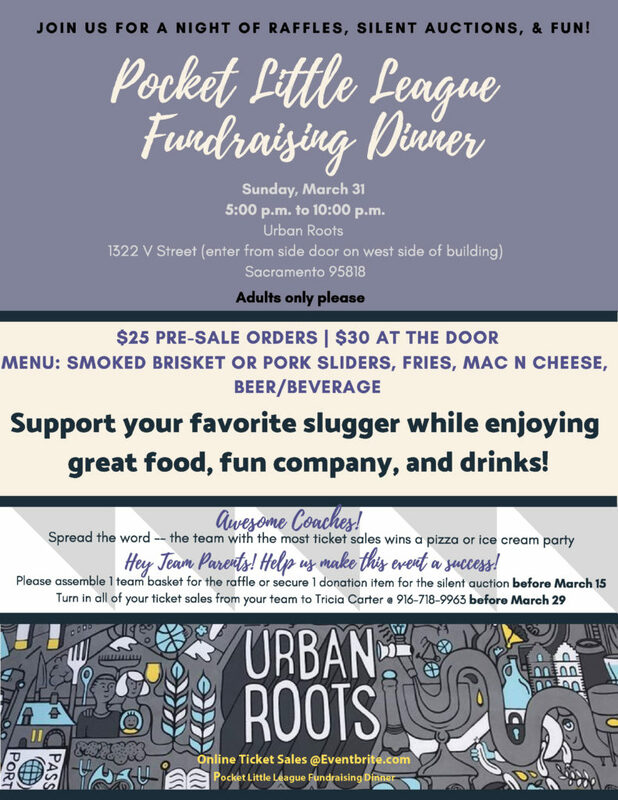 We would like to invite all parents, family, and friends of Pocket Little League to come on out and join us Sunday, March 31st at 5:00 p.m. for our annual Fundraising Dinner to help raise money to support our teams! 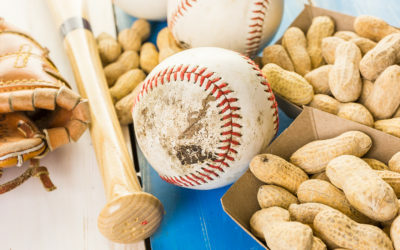 This will be a fun night for the adults to get together and have a great time away from the baseball fields at an awesome local venue – Urban Roots Brewing & Smokehouse. And the best part? 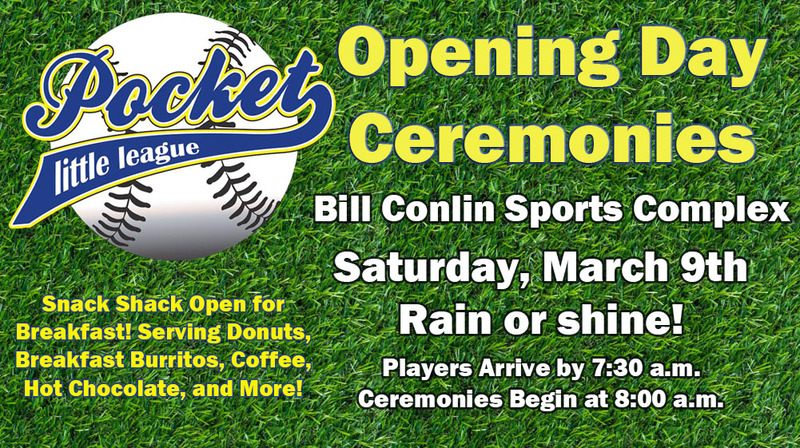 Proceeds from the fundraiser go towards baseball equipment, field maintenance, and improvements for Pocket Little League! Tickets are $25 pre-sale or $30 at the door. Order your tickets online through eventbrite, or turn in your pre-sale order form to your Team Parent by March 29th to get discounted rates for larger groups, raffle tickets, and desserts. 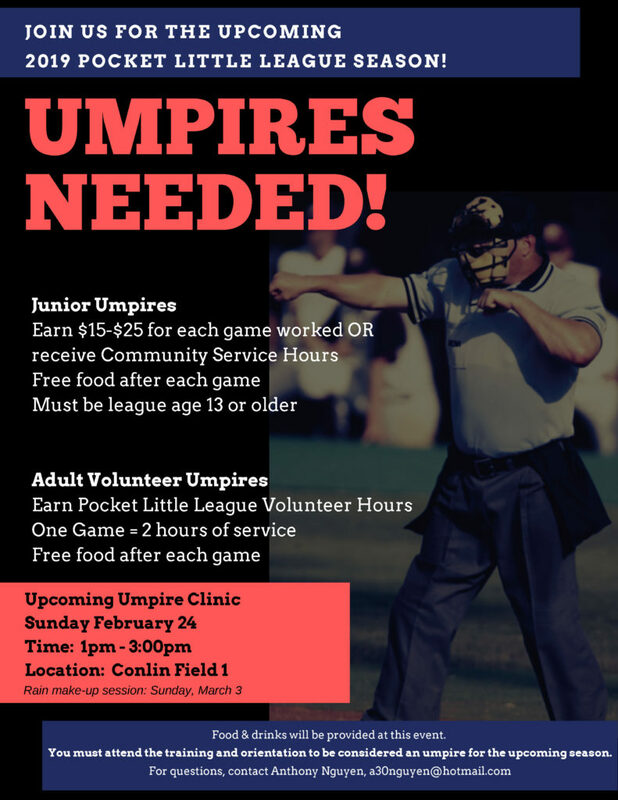 See the flyer below for more details and feel free to share with anyone who loves baseball and a good time out. We are really trying to make this our best Fundraising Dinner event ever! See you there and GO POCKET! Once again this year, all Snack Shack shift sign ups will be available online via SignUpGenius. The link to view available Snack Shack shifts and sign up is here. Parents and family members may sign up below their own team’s open slot anytime. If another team still has an opening 24 hours prior to the game, that slot is available for anyone to take. Sign up with the volunteer’s name, your child’s division, team name, and last name. Students age 16-18 years old may work a shift on behalf of your family, however we cannot have more than two students under 18 work at the same time. Please arrive on time and ready to work your shift – reminders will be sent out two days prior to each shift you sign up for. Don’t forget to enter your time in and time out in the binder kept in the Snack Shack. This is our tracking log for all of your volunteer hours in the Snack Shack! Each shift is 2 1/2 hours, however if you are “closing” please stay until the last game ends to allow players to purchase their treats from the shack. Sign up for as many shifts as you want, there is no limit! Questions about the Snack Shack, SignUpGenius, or any other volunteer opportunities? Please contact your Team Parent for assistance. General questions about Pocket Little League? Visit our Contact Us page and drop us a line by email or regular mail. Thank you to all of our volunteers! 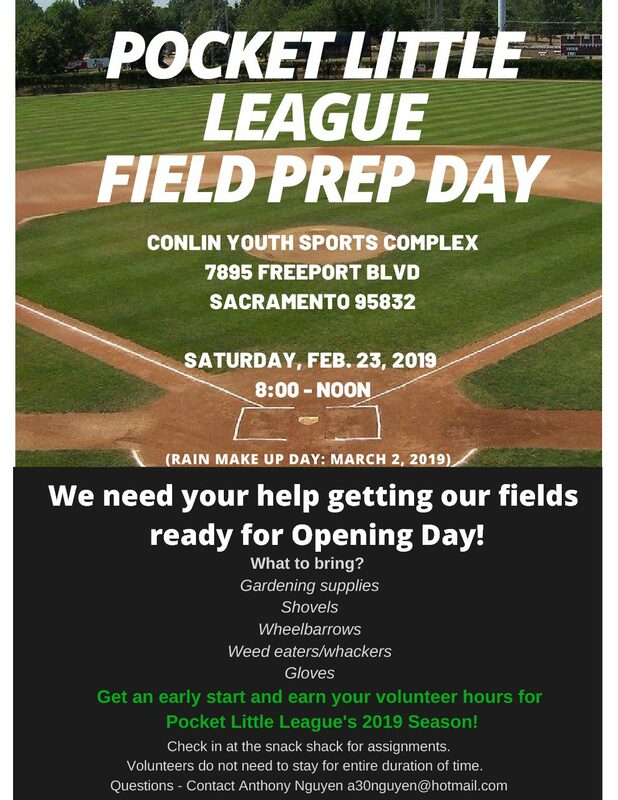 We cannot make this league work without you!